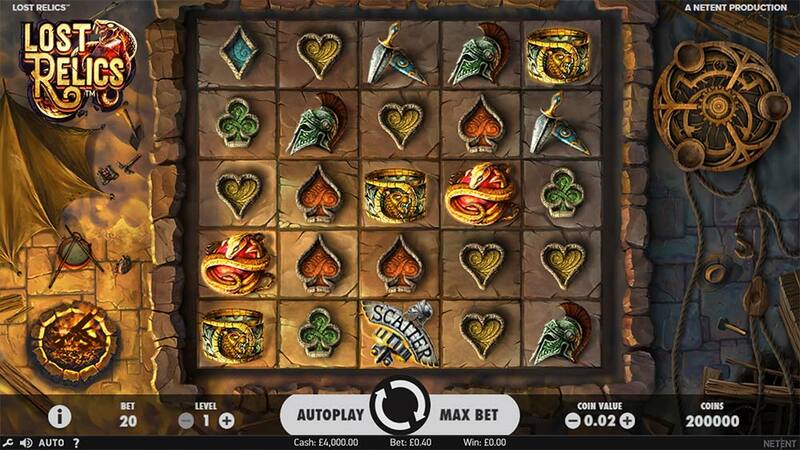 We Go on the Hunt to Discover Hidden Treasures in the Latest NetEnt Slot Lost Relics! 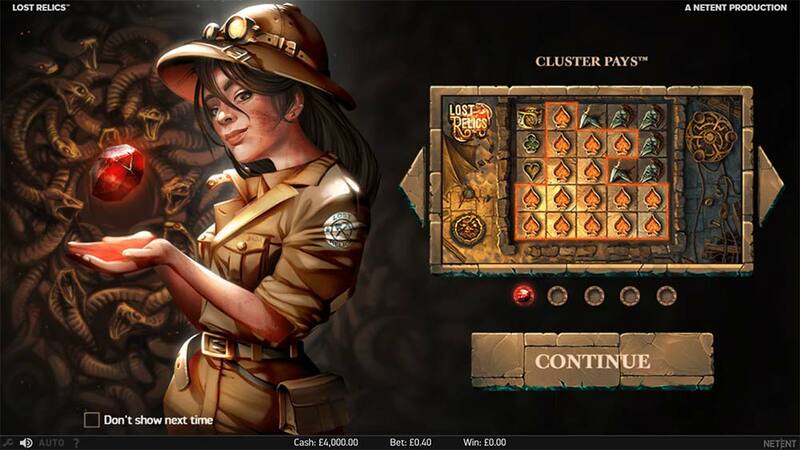 Casumo Casino has recently added the latest NetEnt slot to their casino titled Lost Relics which sees an intrepid explorer on a mission to find gold and ancient treasures, similar in theme to classic Gonzo’s Quest but with a bunch of new mechanics at play. 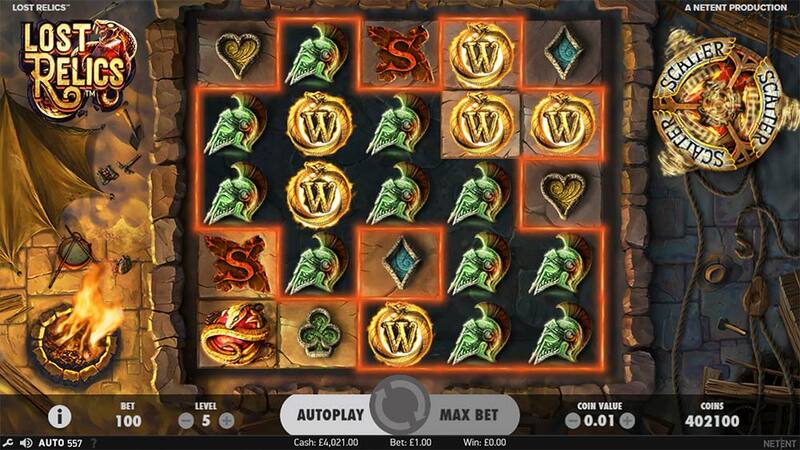 The Lost Relics slot uses the Cluster Pays mechanic in a 5×5 grid which has previously been used on slots such as Aloha and Twin Spin Deluxe along with several new interesting bonus mechanics that occur in both the base game and free spins bonus round such as Coin Wins, Extra Wilds and Extra Scatter symbols. 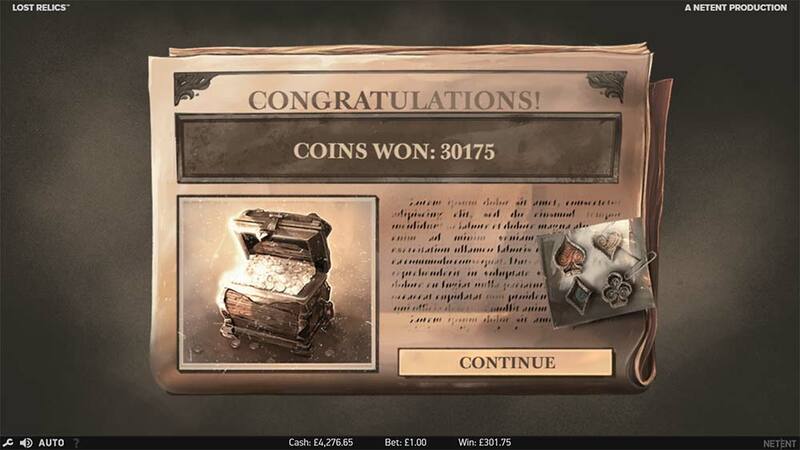 The extra bonus features occur in the base game only after a cluster pay has been formed on the reels, when the symbols are removed it can then reveal a combination of any of the above rewards which can increase wins with extra wilds, award coin wins or even trigger the main bonus round by revealing scatters. Of course, the main bonus round is where these mini-features really come into play where hidden treasure chests can be uncovered by landing wins similar to a battleships style system where tiles are broken to reveal the treasure chests resulting in extra spins, sticky wilds and bigger coins prizes. You can check out all the special features and free spins bonus mechanics in the Lost Relics gameplay video below. All of the base game special features are activated after a Cluster Pay winning combination lands on the reels, these extra bonuses include Coin Wins, Extra Scatters, Extra Wilds features with any combination of these being possible in 1 spin. 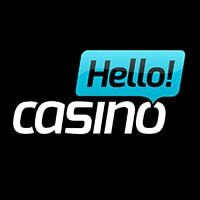 Coin Win – Awards from 3x up to 30x time bet when revealed. Extra Scatter – Extra Scatter symbols are revealed which when totalling 3 will trigger the main free spins bonus round. Extra Wilds – 3 Extra Wilds are placed on to the reels, this can result in further wins and further bonus symbols being revealed (15 max wilds). The main bonus round is triggered when 3 scatter symbols are revealed from a normal spin, or from the revealing Extra Scatter bonus symbols from the base game, you are then awarded a starting 10 free spins. 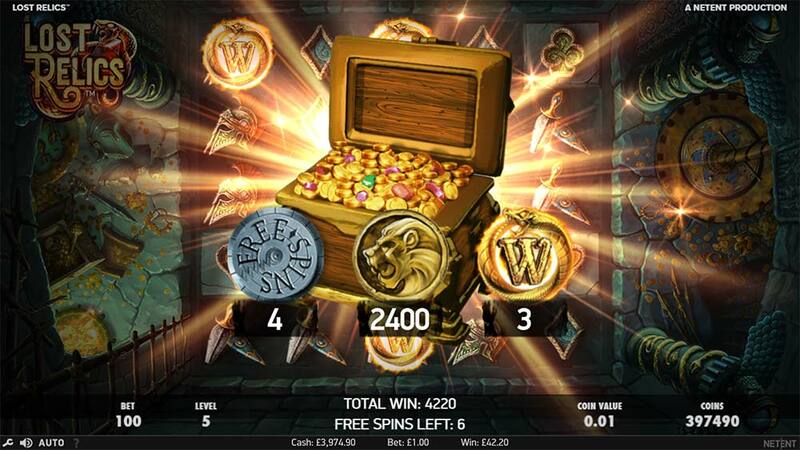 During the free spins round there are hidden treasure chests under the tiles which can reward Extra Free Spins, Coin wins and Extra Wilds that remain sticky on the reels for the duration of the bonus round. There are 3 different Treasure Chest sizes to uncover with different rewards on offer from each, with a maximum of 6 Sticky Wilds and 25 free spins on offer if you are lucky to reach both of these upper limits the treasure chests will then only contain Coin Rewards. Lost Relics is an interesting slot release from NetEnt, whilst we haven’t generally been a massive fan of the Cluster Pays format on previous releases this title does seem to offer a mildly higher variance and the possibility of some decent wins thanks to the sticky wilds and extra spins that feature in the bonus round. 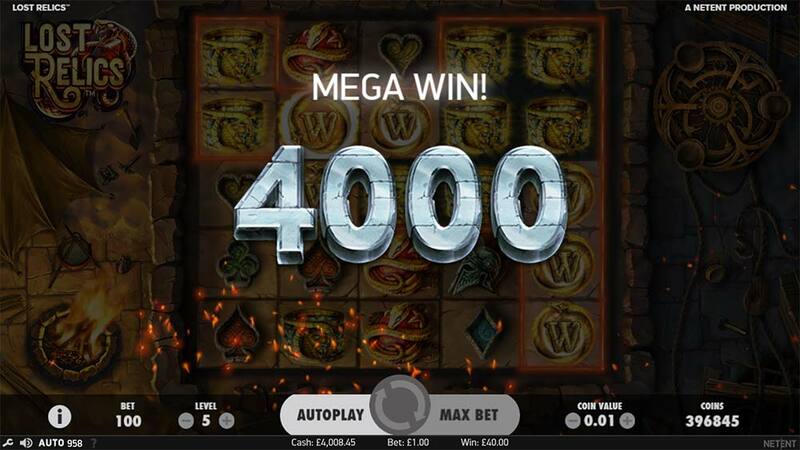 In our playtests, we managed bonus round results in the range of 20x right up to 300x stake which was mainly thanks to the added sticky wilds which help massively in creating new wins on the remaining spins along with revealing additional treasure chests. Overall, Lost Relics is probably our favourite cluster pays release so far, mainly thanks to the fact it does have some decent win potential (over 100x) and sticky wilds, a few more exciting base game features would have really helped though.